Toronto For KigaliUP Music Festival Fundraiser….. Many, many wonderful things have been happening over the past few years and I feel blessed to have been able to share them with you. Lately, I’ve been thinking a lot about who I am as a person and where I came from. One of the earliest memories that I have from my childhood involves my grandmother, a 4’ 11’’ southern lady who taught me much about self-respect and taking care of your village. We were on a crowded bus in Brooklyn on our way home after a full day downtown grocery (and department store) shopping. We had just found seats in the back when my grandmother nudged me and told me to get up and let an older woman sit down. As I got up, she told me to always be aware of those around me who might need assistance or my attention. I learned a lot from my grandmother, my grandfather as well as my parents, but the most important lesson I learned is that that in order to live ‘right’, you have to do ‘right’; this has been the goal in the journey of my life. We are starting small: this year we are going to have a one day festival with workshops and music in the schools in the days prior to the festival. Next year, we will send three musical ambassadors to Kigali for a month to partner with 3 music teachers there and together they will visit 3 schools on a daily basis and do a full music in the school program, the culmination of which will be a performance at the 2012 KigaliUP Music Festival. We are funding this amazing venture through fundraisers concerts (Ottawa, Toronto & Vancouver) and online donations (www.indiegogo.com), as well as private and corporate sponsors and partnerships. Sounds crazy, wonderful, outrageous and maybe even impossible doesn’t it? Well, if you don’t believe that this is possible, then maybe you haven’t been watching me for the past 5 years as I’ve gone from a completely unknown Toronto singer to someone who is getting ready to tour Europe for the TWELTH time in June! I am a true believer in the possibilities of impossibilities!!! So, in the spirit of ‘It Takes A Village…’ please join me next Wednesday, June 15 at Revivalbar for a celebration called “Toronto for KigaliUP”. The Mighty Popo will perform and I will perform full concerts and we’ve got amazing friends performing as well: Shelley Hamilton and the Delightful Divas, Kobe- Aquaa-Harrison, Mutahdi and anyone else that I can drag up on stage!! If you can’t make it, no worries-although you will be missing my only Toronto Concert scheduled this year-you can still donate to KigaliUP on www.indiegogo.com/KigaliUp-Festival. We need your help, your presence, your hearts-please be there!! Toronto blues singer Shakura S’Aida and Rwandan born world music artist The Mighty Popo will play a major benefit concert at Toronto’s Revival nightclub on June 15. The concert is to raise funds to help create a festival in Kigali, the capital of Rwanda; both artists will represent Canada at the event, called KigaliUp, which will take place on September 10. Funds raised at the Toronto concert will also help start an annual music in the schools programme in Rwanda. When: Wed. June 15. Doors 7.30 p.m. , show at 8.00 p.m.
How much: $20.00 at the door. • KigaliUp is the brainchild of Rwandan-born Juno Award-winning musician Jacques Murigande, best known as The Mighty Popo. Forced to flee his homeland by tribal disputes and horrifying genocide, he was a child refugee in nearby Burundi for many years, before finally coming to Canada at 21 ­— the first country of which he was officially made a citizen. 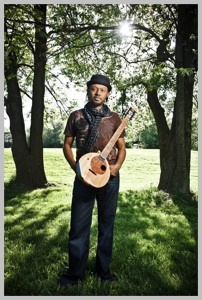 The dream of creating a unique festival in his homeland grew out of his immigrant experience, performing at North American festivals and his frequent trips home to Rwanda. • The team behind KigaliUp is comprised of Festival and arts industry veterans from across Canada, Europe and Rwanda, including Kerry Clarke, artistic director of the Calgary Folk Festival. Using the Canadian folk festival template, recognized world-wide as one of the finest examples of music event organization, KigaliUp will celebrate the diverse traditions of a vibrant country. • A number of well-known Rwanda artists will take part, including Muyango, Ben Ngabo and Sophie Nzayisenga. • Canadian performers at KigaliUp will include The Mighty Popo, blues singer Shakura S’Aida, and Kenyan-born rapper Shad. 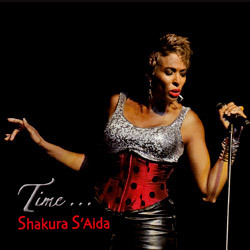 • Shakura S’Aida is Canada’s international blues artist. Voted Female Singer of the Year at the Maple Blues Awards, she has performed so far this year in Australia, France. Germany, Luxembourg and the United States. She will return to France later this month, and then perform at six major festival or concert events in Switzerland, Germany, Austria, and Italy.